The media, political leaders, the public — and certainly many Catholics — are confused about the Pope’s involvement in the global warming debate. Clear away the confusion! Read Climate Depot’s comprehensive special report on the Pope’s foray into man-made global warming politics and science. 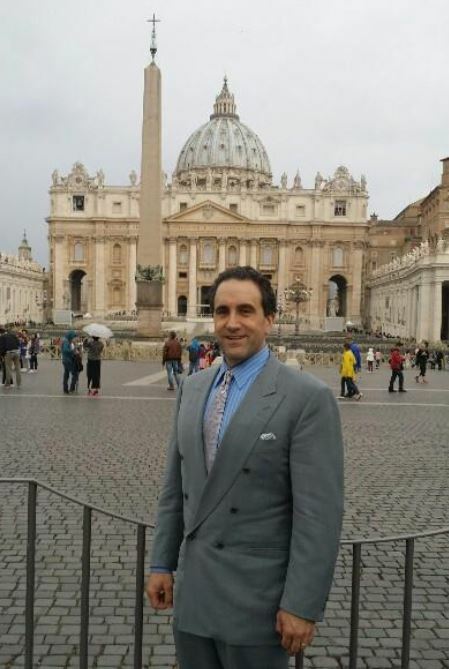 This report from Marc Morano, founder of CFACT’s award-winning Climate Depot news and information service, summarizes the most common questions about the Pope and climate and gives readers easy-to-understand talking points about the Pope’s involvement. Is the Pope’s message so powerful that even Al Gore is considering becoming a Catholic? Or is the Pope leading Catholics into a deeply secular Green movement? This new report will clear up the misconceptions. It is a report that anyone, no matter what his or her faith, will learn from. Climate As A Common Good! As you read the Laudato Si, one soon realizes that The Climate Change Encyclical is NOT ABOUT The Catholic Church’s defense of Global Warming Data by the CITED “scientific consensus”. Pope Francis in simplicity brings to bear this argument and in short says and in my words, ‘even if true or not, RECOGNIZE who is exploiting whom in this argument of warming and the failure to protect the most vulnerable’. Schellnhuber said he wanted to break the myth that 85 of the world’s richest people own the same amount of wealth as 3.5 billion of global poor population. “It’s actually 60” people, he said. Please understand that 100% of Laudato Si was to call recognition of EXPLOITATION by the rich & shameless against the most vulnerable. You see this was a brilliant moment to bring the world’s awareness to the crimes of exploitation by the radicals of the NWO.